Make a big impression at your next live event with Event Architecture! 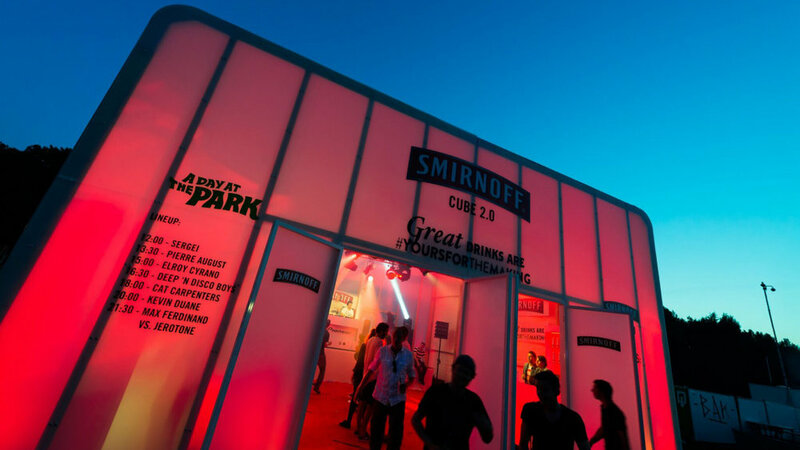 Our incredible structures finally bring a beautiful aesthetic to the outdoor activation space, providing a welcome alternative to tents and shipping containers that are all too common and don’t make the brand impact sponsors are looking for these days. These weather proof, durable, and climate controlled portable structures are perfect for your next out door event. Our models can be expanded to fit any size footprint. If you are looking to expand vertically, explore the XPO DH or the Xdek, which offer a towering presence that can be seen from afar. Combine these technical features with a variety of branding opportunities, inside and out, and your success is guaranteed.